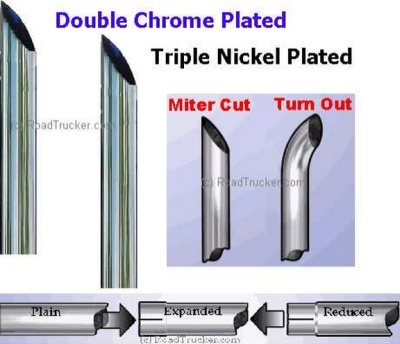 5" Diameter SuperPremium Chrome Exhaust Stacks for Truckers with Miter Cut. Plain end has a 5" Outside Diameter. Expanded End has a 5" Inside Diameter. Length is 18", 24:, 36",48" and 60". 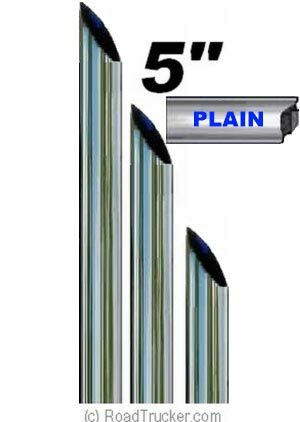 Plain = 5" OD; Expanded = 5" ID.